A loan of $10,000 helped this year has been a LOT of upheaval as we combined businesses. We are moving to a new location where we can continue my son's legacy and build our customers. We need loan support for outdoor seating, expansion, new furniture, permits and employees. My name is Cristina Martinez. I was born into a family of barbacoieros in the town of Capulhuac, the barbacoa capital of Mexico. I worked in the family business alongside my mother, father, brothers, and sisters, selling barbacoa on the weekends in Mexico City until I met my first husband. His family were also life-long barbacoieros, and together we dedicated our lives to serving barbacoa and raising our four children. Unfortunately, I had to flee this marriage because of physical abuse and threats. I fled to another state with my daughter, and continued to dedicate my life to selling barbacoa. When my daughter graduated high school, she decided to go into nursing. As a single mother cooking barbacoa in our new home, with no financial support from my marriage, I could not afford to send her. I made the decision to move to the United States for the opportunity to be able to afford to. I landed a job making pastries in a Philadelphia restaurant, which is where I met my husband Ben. As it had always been my dream to open my own barbacoa restaurant, in January of 2014, Ben and I started South Philly Barbacoa as a silver food cart, which grew into a brick and mortar shop at 11th & Morris by July of 2015. https://www.youtube.com/watch?v=22iAviDd_M0&t=212s. Our barbacoa quickly earned positive attention locally and nationally from American and Latino guests alike, being lauded as one of the best tacos in the nation. This past January, an unexpected tragedy changed the trajectory of our lives and careers. It will help a woman entrepreneur move to a new location and grow her business. 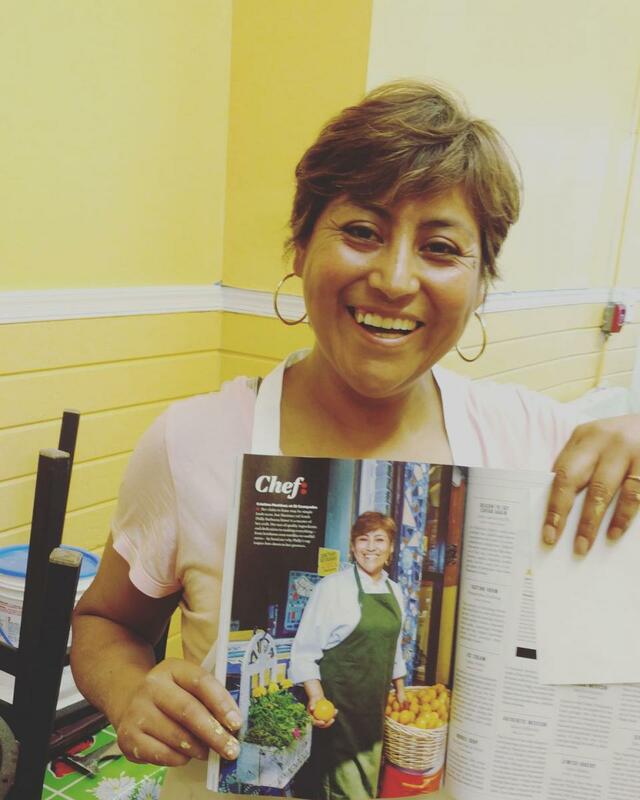 We started as a Husband-wife team bringing regional Mexican cuisine to Philadelphia. We were thrilled to have our customers spread the news of our restaurant and word of mouth brought much success. We were happy to continue and planned to expand exponentially until the sudden death of my son in 2017. Since then we have moved our old business to the location of his restaurant in his honor and have tried to combine both menus and keep old customers as well as build new. It has been wonderful but very very difficult to sustain the change of location, we have experienced some losses but as many find out we have JUST MOVED, we are seeing an uptick. We now have plans to move again to EXPAND to one large place and operate both menus from there. My Son, Isaias Berriozabal opened EL COMPADRE in October 2015. In January of 2017 he passed away unexpectedly. He was 23 years old. My husband and I chose to close our other business and move to THIS location in my Son's honor. It has been a tremendous financial strain to move and combine two businesses. A loan would help us sustain this business with additional customer draw and have a presence with outdoor seating. While it is tough, we are seeing MUCH progress!